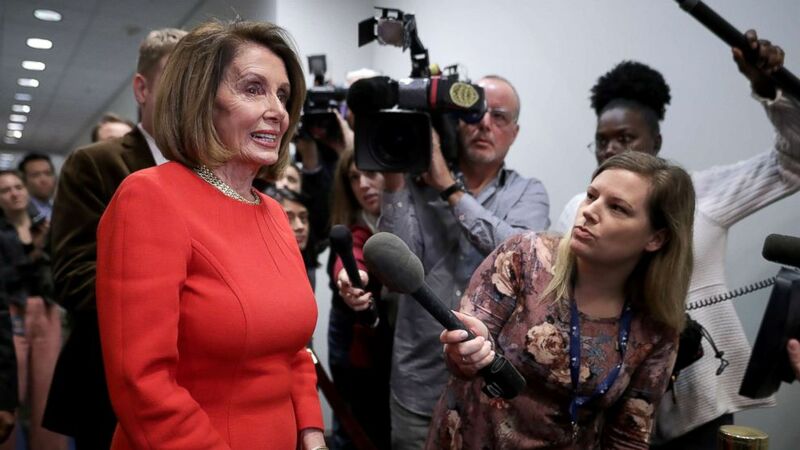 Congress is back in session and Nancy Pelosi is lobbying House Democrats to back her for speaker, including trying to win over several incoming freshmen who opposed her on the campaign trail. She faces a rebellion from some in the party who are calling for new leadership and claim there will be enough votes to block her from winning the gavel on the House floor in January. “There’s a small, but determined group of Democrats in the House who want to see her sidelined,” ABC News’ Ben Siegel tells us. Pelosi and her allies are confident that she will be speaker. The deadline for Florida election officials to hand in machine recount totals in the races for governor, senator and agriculture commissioner is Thursday. But Florida’s recount deadlines are being challenged by incumbent Democratic Sen. Bill Nelson in a lawsuit, and court action could change them. As of Wednesday night, the ongoing machine recount of votes still had to be completed by 3 p.m. Thursday. Republican Gov. Rick Scott leads Nelson in the Senate race by 0.15 percentage points. Republican Rep. Ron DeSantis leads Democratic Mayor Andrew Gillum in the governor’s race by 0.41 percentage points. A manual recount is forced when the margin falls within 0.25 percentage points, so a second recount in the gubernatorial race is less likely. It’s unclear if the recount totals will be done in time, according to ABC News’ Chris Good, who covers election security, and he also notes that some ballots are still being counted. Michael Avenatti, Stormy Daniels’ attorney, was arrested yesterday on suspicion of domestic violence by the Los Angeles Police Department. The alleged incident took place on Tuesday, the day before Avenatti’s arrest, according to police. He’s due in court on the charge on Dec. 5. British Prime Minister Theresa May announced on Wednesday her cabinet agreed to a draft withdrawal agreement on the terms of the United Kingdom‘s exit from the European Union. “These decisions were not taken lightly, but I believe it is a decision that is firmly in the national interest,” May said after a five-hour cabinet meeting. What’s in the 500-page draft deal? ABC News Foreign Editor Marcus Wilford breaks it down for us and what May will face next. A federal judge will decide Thursday whether to force the White House to reinstate the press credentials of CNN’s Jim Acosta. CNN and Acosta filed suit against President Donald Trump, White House press secretary Sarah Sanders, the president’s Chief of Staff John Kelly and the U.S. Secret Service, among others, over the suspension of the reporter’s press pass following a heated exchange between Acosta and the president last week. The cable network alleges the move was a violation of the First Amendment and “the culmination of years of hostility by President Trump against CNN and Acosta.” An attorney for the Justice Department argued the president has the “authority” to exclude journalists from White House grounds. Does CNN have a case here? The cable network has a “good shot” of getting Acosta’s credentials back, according to ABC News Chief Legal Analyst Dan Abrams, who adds the case will set legal precedent for White House press access. First lady gets her way: Deputy national security adviser reassigned after Melania Trump’s criticism: Mira Ricardel, the president’s deputy national security adviser, has been reassigned one day after first lady Melania Trump called for the woman’s firing. In a remarkable development Tuesday, Melania Trump made a public call for the president’s deputy national security adviser to be fired. Death toll grows: Officials fear many more deaths from California wildfires that have already claimed 59 lives: As search crews found another body Wednesday in a house burned by a massive Southern California wildfire, officials fear many more deaths in the destructive blazes at both ends of the state that have now claimed 59 lives. The deadliest and most destructive of the two wildfires is the Camp Fire in Northern California’s Butte County, which has killed at least 56 people. Saudi-Yemen conflict: House blocks bill to end support for Saudis in Yemen: The House of Representatives voted to block the passage of a bill that would have ended U.S. military support for the Saudi-led coalition fighting Houthi rebels in Yemen. The setback for critics of the coalition in the U.S. comes after the United Kingdom announced progress this week on the diplomatic front as the United Nations special envoy pushes to get the warring parties to the negotiating table by the end of the month in Sweden. Country’s biggest night: Keith Urban, Carrie Underwood big winners at CMA Awards: Keith Urban was the big winner at the 52nd annual CMA Awards, airing live from Nashville’s Bridgestone Arena Wednesday night. Urban walked off with Entertainer of the Year honors, but Chris Stapleton also had a big night, grabbing Single and Song of the Year, along with his fourth Male Vocalist award. Puppy theft: Man disguised as woman used stolen credit card to buy French bulldog puppy: Police: Authorities are searching for a man who is suspected of fraudulently buying a 5-month-old French bulldog from a Florida pet store while he was disguised as a woman. Bryant Farfan is wanted for allegedly committing grand theft and identity theft in connection with the incident, according to the Largo Police Department. Monica Lewinsky’s affair with Bill Clinton re-examined: In an intimate new docu-series, Lewinsky shares her story and “Nightline” examines whether the nation is more sympathetic to her story in the age of #MeToo. Karlie Kloss, from supermodel to coding coach for girls: The St. Louis native details her journey to gracing runways from Dior to Versace — and living out her other passion in coding, empowering girls in the tech world. Nov. 15, 2007 — Barry Bonds is indicted for using performance-enhancing drugs. A dramatic shootout between a sheriff’s deputy and a suspect was caught on video. 'Start Here': May, Cohen, migrant deaths. What you need to know to start your day.